For those who don’t know me, my name is Marcus and I currently live in a caravan in our garden in Italy with my wife Helen. I worked for many years as a mechanical and production engineer in the UK and I like to learn new skills and understand how things work. I think inside me there will always be an engineer, so when my wife and I began developing property over ten years ago, we continued to learn the relevant skills to allow us to renovate, develop and build properties ourselves, including me qualifying as a certified electrician. In doing so, we were able to tightly control how and when each project was carried out – it may not be the best, most efficient method, but for us it was the most rewarding and satisfying way to make a living. That was until the UK housing market ground to a halt around 2011 – part way through our most ambitious project to date – a full new build of a four bedroomed detached house that we designed, specified and physically built entirely by ourselves (except for the gas installation which needed to be certified by our gas registered friend and neighbour John). The problem we often faced with our projects was finding the balance of satisfaction against turning a profit – there were always compromises on the design and finish to ensure each property was both saleable and profitable – they were never designed solely for us. 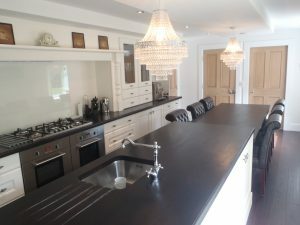 So when we finished and finally sold this latest project, we turned our attention to focus on what we wanted as a couple – where did we want to live, what type of house would really suit us – irrelevant of whether it would be easy to sell on. 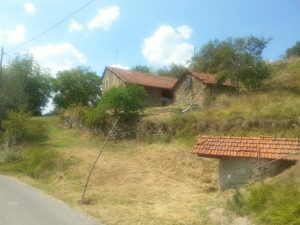 We had for many years dreamt of moving overseas to live a more rural and natural way of life, but stone farmhouses with land don’t come cheap in the UK, plus we wanted the challenge of living somewhere new and unfamiliar, with real seasons and warm summers. We finally landed on Italy about 30mins inland from the coast of Liguria where we found a small neglected stone farmhouse with 5 acres of mixed woodland and fields that we now call home.For a fuller picture of why we decided on this location and to learn more about our life here, take a look at Helen’s blog at www.midlifeitaly.com. 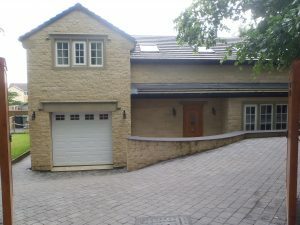 I have read many blogs on renovating property overseas, but most do not give much actual detail of the actual work involved or the costs incurred – often because they employ local tradesmen to do most of the work. In a foreign country it is probably advisable for most people to use the help and guidance of locals – but I am far from normal in this area. I want to understand how and why each stage of the work is being done and being a true Yorkshireman, save a few quid while I am at it! So as we always did in England, we will be doing as much as is legally possible ourselves. I say legally, because we all know there are short cuts that can be made, but I prefer to be safe in the knowledge that what I do will not come back to haunt me! (I may however from time to time bend the rules a little just to spice things up a bit). There are certain jobs,as in the UK, that have to be done officially and be certified such as gas, electrics etc., so we will have to use some local tradesmen at times but will as always keep this to an absolute minimum – why pay someone else when you can curse, swear and get aching muscles through doing a job yourself?… because it’s cheaper and more satisfying that’s why!! 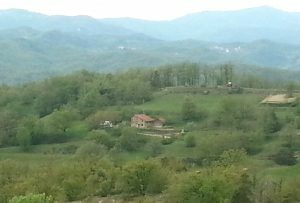 I will try to keep my writing entertaining, but do want to give you an honest and detailed account of how difficult (or easy – we hope) it is to renovate an old property in Italy including a rough guide to the costs involved. I want to tell you our story of how we are adjusting our existing skills to renovate and develop our farmhouse in the hope that we may inspire those of you who may have thought about maybe one day doing something similar – and hopefully not put you off in the process! We are by no means experts, although we do have a lot of experience in this field and as such please do not take everything we do as gospel – it is simply how we have chosen to renovate our home and may not specifically apply to your circumstances. We do however hope it will give you an idea of what is involved in renovating and be entertaining along the way – wish us luck!